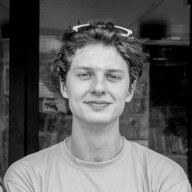 Tomas Bimbiris is currently a European Voluntary Service volunteer based in Austria. He is a social change-maker, traveler, political activist and writer. He co-edits www.whygofederal.eu and writes in his personal blog at www.tomasbimbiris.lt. He considers himself non-partisan, but is vision-oriented and crazy enough to try and change the world.